Although conventional hair products offer scents that are “fresh” and floral, don’t let flashy packaging fool you. There are most certainly some great all-natural skin and hair products on the market, so do not discount all brands. However, when purchasing all-natural products, they can be rather costly. On the other end of the spectrum, there’s the conventional products which fill our drugstores and department store shelves. They are often packed with ingredients that may be doing more harm than good. The sad truth is, a large variety of beauty products contain a long list of toxic additives, including known human carcinogens and endocrine disrupters. There has to be a better way, right? As you can imagine, these not only harm the environment but your own personal health as well. Instead of exposing yourself to these synthetic ingredients, look to nature instead. There are so many oils and butters that are beneficial for both your skin and hair, especially when applied in their raw or natural state. Oils, including olive, castor and coconut, are rich in vitamins, minerals and antioxidants. This means that they not only moisturize, hydrate and replenish, but in terms of your skin, they will also offer anti-aging properties. From avocado to sweet almond, each oil offers their own unique benefits — but today, let’s focus on castor oil. Although fairly common, castor oil is not generally as well known as say olive oil. High in vitamin E, minerals, proteins and even beneficial fatty acids, castor oil is great for both your skin and hair. If you have a bottle lying around your home, it’s time to put it to good use — here’s how. 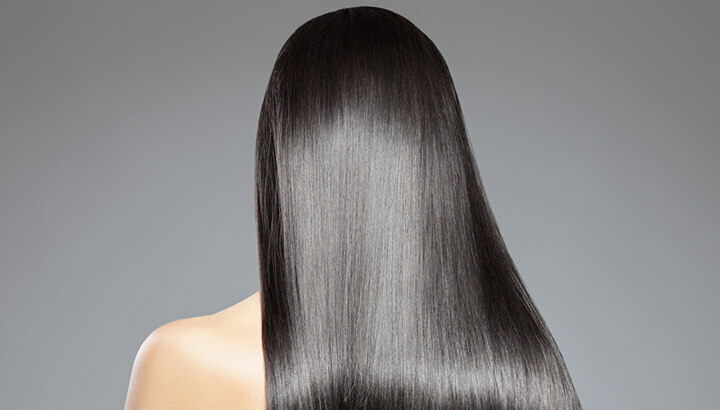 Castor oil can enhance the look and feel of your hair, making it look both thicker and richer. Locking in moisture, this oil is what’s known as a humectant, making each strand of hair look that much healthier. After you shower and towel dry your hair, apply a small amount of slightly warmed castor oil, working it into the strands of your hair. Whether you’d like to wash off makeup or benefit from a deep clean, castor oil can help cleanse your pores. In order to benefit from an effective deep cleanse, mix a small amount of castor oil with jojoba oil (1:1 ratio). Massage these oils into your face gently, covering the entire surface of your face. After 10 minutes, wash your face with a warm cloth. This steaming process will help remove excess oil, dirt and other pore-clogging material. Whether you’re suffering from athlete’s foot or ringworm, castor oil is rich in a biochemical known as undecylenic acid — which helps target fungal growth. It’s recommended that you mix castor or with coconut oil, applying it too problematic areas repeatedly until cured. 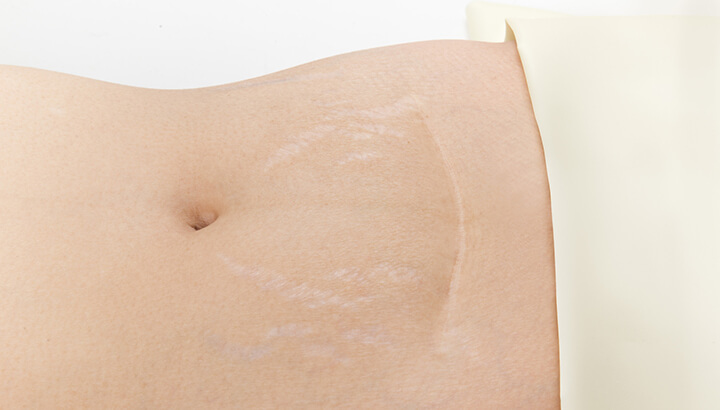 There are a number of reasons why one may suffer from stretch marks, including the effects of puberty and pregnancy. Castor oil is high in what’s known as ricinoleic acid, a fatty acid that helps target the appearance of stretch marks. Massage castor oil into the desired area and wrap with a cotton cloth, allowing the oil to penetrate the skin for 15 to 20 minutes. Repeat on a regular basis for three to four weeks. 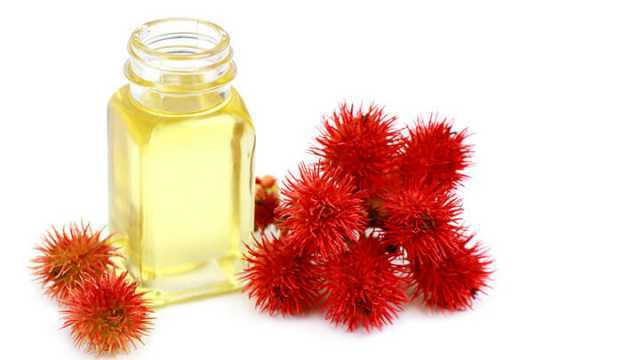 If you have scars from when you had chickenpox or acne,, castor oil can help you reduce their appearance. Due to its high fatty acid content, castor oil will penetrate through the epidermal layer, helping to heal the scar tissue by promoting new skin cell growth. Apply before bed, massaging the oil deep into the skin. Leave the oil on overnight and wash it off the next morning. Speaking of scars from acne, why not treat acne before it has a chance to scar your skin? Once again, the fatty acid known as ricinoleic acid helps fight acne-causing bacteria. This is especially effective for cystic acne, which is generally more severe. Wash your face, then apply a few drops of castor oil, rubbing it into the affected area. Wash an hour later, or leave on overnight before rinsing. Although you can treat many surface conditions with castor oil, the benefits are more than skin deep. When using as a massage oil, you can help enhance circulation and target sore, achy muscles and joints. Your scalp is also a great area to massage, helping target problematic dandruff. Just remember, this oil can stain your clothes. Wear old clothing after applying it to your body. Ricinoleic acid has been found to potentially help balance scalp pH, replenishing natural oils and promoting positive hair health. In turn, this can help undo some of the damage that has been caused by harsh hair products. When the pH of your scalp is either too alkaline or too acidic, this can lead to bacterial or fungal issues, an itching scalp and dandruff. There have been many cases where individuals swear by castor oil for hair growth, helping to enhance the growth rate. When applied to the scalp, this oil penetrates deep into the pores of your hair follicles, providing nourishment. Work around three tablespoons of castor oil into your scalp. Leave it on for 20 minutes before washing it out with an all-natural shampoo. When you want to soothe an insect bite or sting, castor oil can help reduce itching and encourage more rapid healing. Offering both anti-inflammatory and antibacterial properties, castor oil will help soothe and heal when applied to itchy bites. Simply apply a small amount to the affected area and repeat throughout the day. The fatty acids found in castor oil will penetrate deep into the skin, stimulating the production of elastin and collagen. It will also target dark bags and the appearance of crow’s feet. Since the skin around your eyes is so delicate, it’s more prone to damage. To apply, make sure you cleanse your skin, applying a small amount of castor oil around the edges of your eyes and forehead. Castor oil is not only effective, it’s cost-effective. It helps you benefit from a wide range of uses with just one bottle. Whether you want to brighten the look of your hair or combat eczema, every home should have a bottle of castor oil in the medicine cabinet. It’s time to re-think not only what you put in your body, but what you put on your body as well. Hey Buddy!, I found this information for you: "11 Ways Castor Oil Makes Your Hair And Skin Rock". Here is the website link: https://www.thealternativedaily.com/castor-oil-for-hair-and-skin/. Thank you.